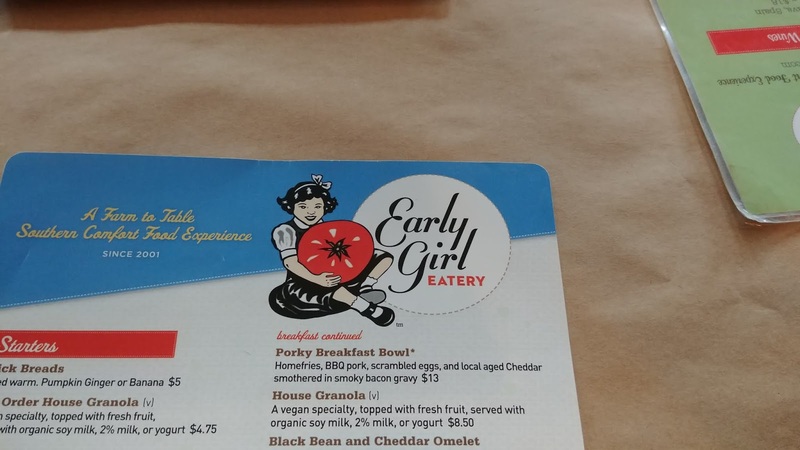 Our first stop upon arriving in Asheville: Early Girl Eatery. It was a little after 2 pm. We were hungry. I knew they had several of my favorite things. So we parked and walked there. It's cute inside. Since it was so close to closing time, it wasn't very crowded. I felt bad, arriving 30-45 minutes before closing, but we were so hungry and I've wanted to try this place since my first trip to Asheville in 2007 (I did not get to try it on that trip). 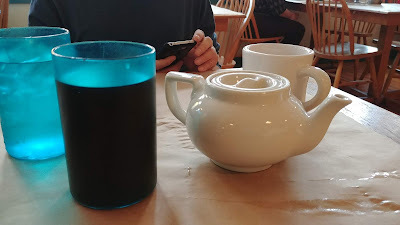 I had iced tea, SP had hot oolong tea. 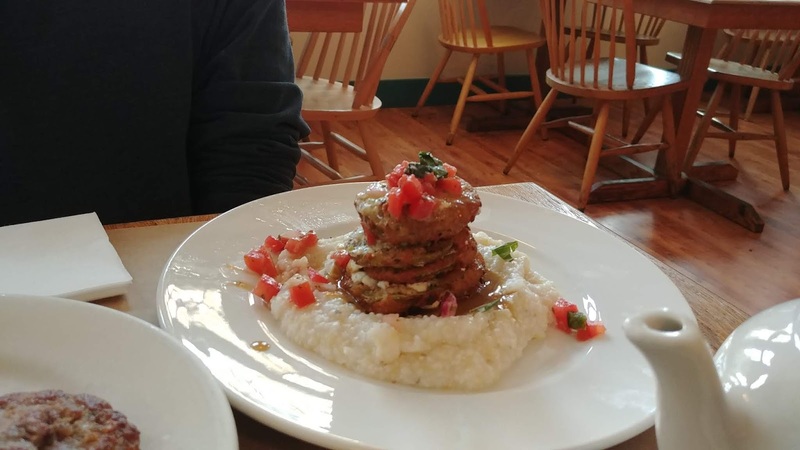 Fried Green Tomato Napoleon - fried green tomatoes layered with fresh basil and herbed fromage blanc, topped with salsa and balsamic dressing, served over grits. Yum. 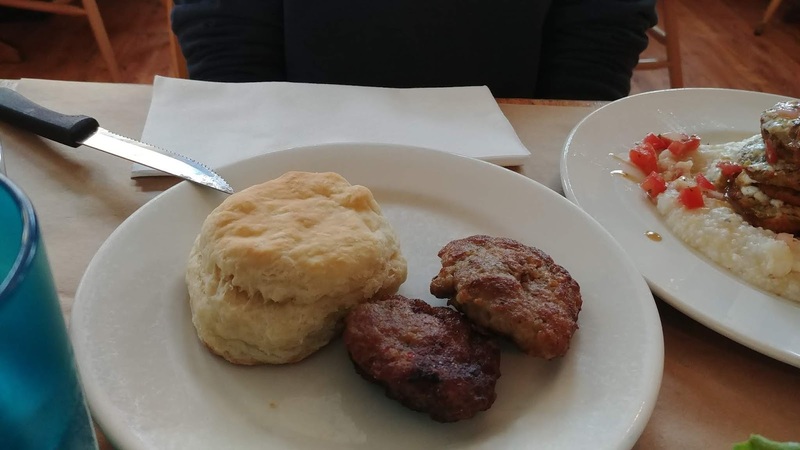 SP had a Side Biscuit & Side Sausage. He said both were tasty. 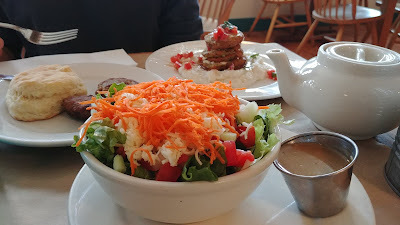 We shared House Green Salad - topped with tomato, cucumber, organic carrots, and local aged cheddar. We were feeling the need for vegetables. Really good salad. 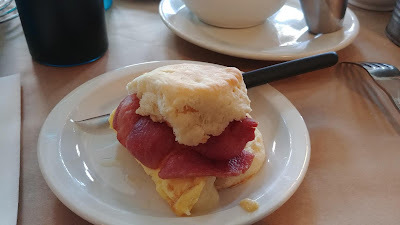 I had Egg Biscuit (scrambled eggs) and I added cheese (pimiento cheese) and I added country ham (other options were bacon, sausage, or tempeh). I think I've had country ham before, but I'm not sure. It's like a cross between prosciutto and bacon. Really good. Really salty. 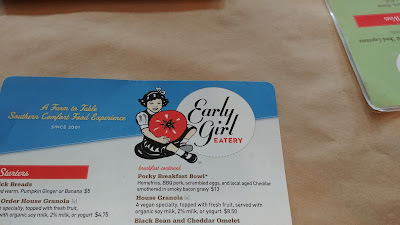 This was a good breakfast sandwich. Our server was great. No sign of any possible annoyance at one last table to serve. The food was yummy. 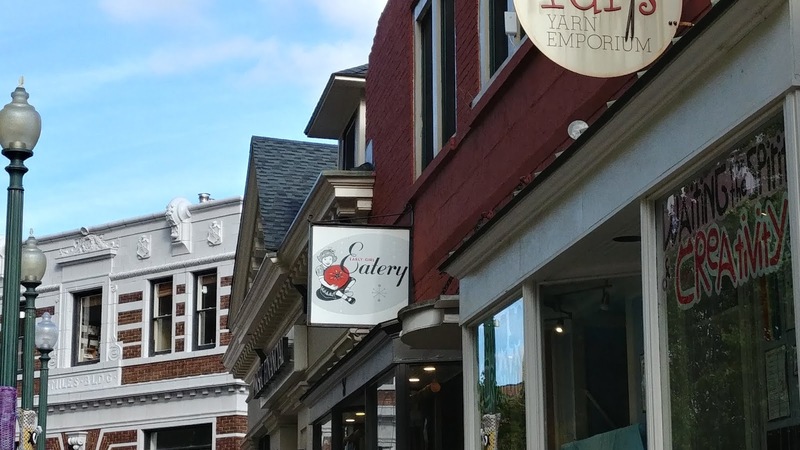 It's a cute and relaxing and friendly place. We'd definitely go back. 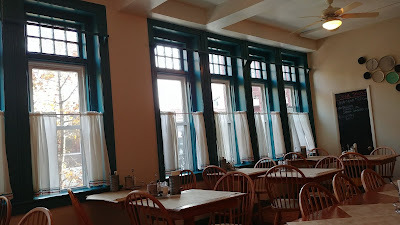 Next time I'd love to sit next to one of those windows.